7. After the above is done, don't forget to say "Hello, EOSABC! Greetings from (your bitcointalk usernam)" in the telegram group,which basically proves that your account is not multiple account. 8. Telegram account must be active account,the status of the accounts that often shows last seen within a week or a month will not be disqualified. 9. Multiple accounts are strictly not allowed and will be disquilified to all rewards. 3. For Jr.member and Member,signature is required; for Full Member, Sr.member, Hero and Legendary, both signature and avatar are required. 5. 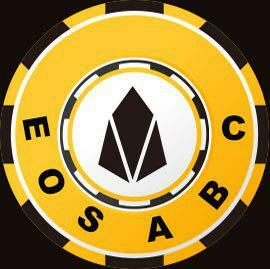 After the above is done, don't forget to say "Hello, EOSABC! Greetings from (your bitcointalk usernam)" in the telegram group,which basically proves that your account is not multiple account. 6. Multiple accounts are strictly not allowed and will be disquilified to all rewards.